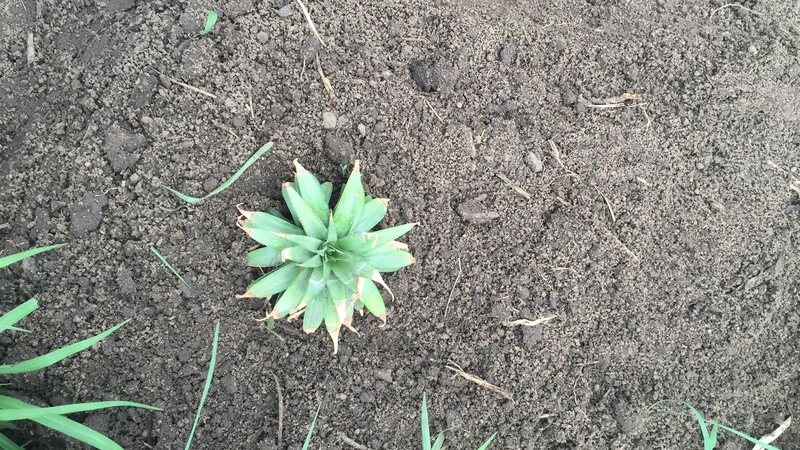 I live near the pineapple center of Swaziland, but purchasing a pineapple has been ridiculously difficult. I bought four when I found them the first time. I found none when I wanted them again. And then they were back at the markets. 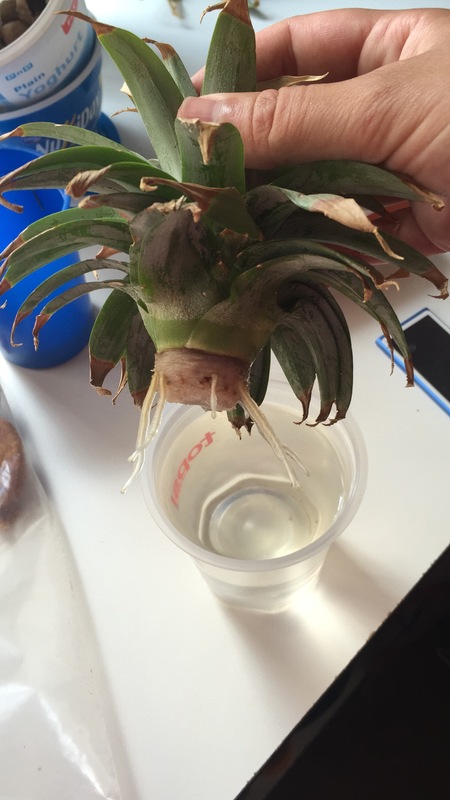 Then I learned that I could grow a pineapple from the leaves of a pineapple. I saved one of my leaves and after a week of letting it dry, and then another couple weeks of letting roots grow, I planted my pineapple last week. It should take about two years to grow a Swaziland-sized pineapple, which is about half the size of an American pineapple. This entry was posted in Africa, Peace Corps, Swaziland, Wednesday photo and tagged Africa, Fruit, Garden, PCV, Peace Corps, Peace Corps Volunteer, Pineapple, Swaziland. Bookmark the permalink. And Swaziland doesn’t have the tropical weather I expected for pineapple fields. Timor Leste has pineapples, too, that seem to grow wild on random patches of land. Are your pineapples pink?